iPage Hosting is well-known hosting service provider with over 19 years of rich experience. Over 1 million websites are managed and hosted by this iPage service company. iPage Hosting Review will let you know more about features of iPage Hosting service. They provide best-in-class technologies and two data centers. iPage hosting has a professional technical team, and they can assist customer to design sites, create email address and anything about hosting websites. iPage Hosting gives excellent service to customer to host business, personal, social and non-profit websites. iPage has different tools, extensions, plugins, processes, high-performance hardware equipment and more technologies to make hosting service perfect. Now iPage provides the biggest discount up to 75% discount on Web Hosting plan with free domain. All plans include free domain name registration, unlimited email accounts, unmetered bandwidth and unmetered disk space. There is no risk to use iPage hosting service as they provide 30-day money-back guarantee. If you have any unsatisfied issue, and don’t want to use this iPage hosting service, you can ask them for a refund within 30 days. In fact, iPage offers the most affordable and reasonable price on web hosting package. iPage also offers other hosting plans like VPS hosting, Dedicated Hosting and WordPress Hosting. Customer can select the favorite one to host their websites. However, the web hosting is now the most popular and best deal as it also provides many different world-class technologies like enhanced security suite, vDeck Control Panel, Network monitoring, performance load balanced server, two data center locations, Cisco routers and UPS power back up and more. iPage hosting will make your website design and hosting easy and quick. iPage provides popular domain names like .com, .net, .org, .us, .info, .biz, .me, .co and more. If you prefer those popular domain names, it is easy to choose one of them to make your beautiful website domain name. Besides, iPage also provides other useful and most-often used domain names like .tech, .space, .online, .website, .store, .site, .club, .biz, .info and more. A domain name is not only a name of your website but also stands for your product or service. That means it stands for the brand and public image of your product or service. A great domain name will boost up your business a lot. Therefore, you should name your website with a recognizable domain. It is important to choose a perfect domain name. A perfect domain name will be the first step to build your online business. The most primary principle to create a domain is to have a memorable, unique and eye-catching one to name your website. An easy-to-remember domain name will be remembered by customers and become a popular searching key words. Therefore, it is necessary to take time to give your website a meaningful and memorable domain. iPage domain names are offered there and you also can get some professional suggestion from them to create your online website perfectly. iPage mainly offers various hosting service for customers to design and host their websites. Hosting services are popular and most-often used by customers who want to start their online business and sell their product or service through network first. Right now network is fast developing and more and more people are relying on internet. e-Commerce becomes more and more popular and important. Internet users prefer online shopping than ever before, and the e-business become more flourish. However, fiercer competition between online stores happen also. Therefore, it is crucial to have your website managed and hosted well in order to show visitors a perfect website and powerful product. iPage provides various hosting services including Web Hosting, VPS Hosting, Dedicated Hosting and WordPress Hosting. All these four hosting services are popular on market and almost customers use those hosting service to host their websites. Different hosting service plans have different features to host and design customer’s website. iPage Hosting Review here will introduce more details about every hosting plan. iPage Web Hosting now is the most popular plan as they promote this plan with over 75% discount on this iPage Web Hosting package. The 75% discount on this plan is still available. And it includes such benefits free domain registration, free drag and drop site builder, 1000 of free templates, free SSL Certificate, free email address, 30-day money-back guarantee, free 24/7 support and free domain transfer. All these benefits are available now. Therefore, now if you have this iPage Web Hosting, you can get professional domain name free for one year, and a perfect domain name will be a great importance to online business. If the domain name service is free, you also get some savings when you are planning online business. You can pay extra money on other aspects of hosting websites. In order to have customer designed a perfect and meaning website, iPage Web Hosting also gives best applications and plugins to help create an online store with multiple features and excellence. It is also to begin a blog or set up a photo gallery. You can choose the apps of iPage to design and build your websites perfectly. When it comes to build an online store, email address is also essential, as email address will help your visitor to contact with your support and consult with your product or service timely. You also can track your product and service by this email address. Email address will also make your site look more legitimate and credible. Now you use iPage Web Hosting, you will be able to create unlimited email addresses at your own domain. You are allowed to create autoresponders and email forwarding. You don’t have any worry if there is no email address by using this Web Hosting service. iPage Hosting Review will help you decide if you should use iPage Web Hosting. Besides, free website builder is also provided to make your website perfect and powerful there. You are able to use their drag and drop site builder to easily edit your site and design your site in the way you like. It is also easy to use this drag and drop site builder to create and build your site as you can select whatever tools and extensions from thousands of professional looking templates. Many customers build websites in order to do online business, therefore, eCommerce functionality will be an essential factor to make your website more business-like. Then you can sell your products or services with iPage’s wonderful and remarkable eCommerce functionality. 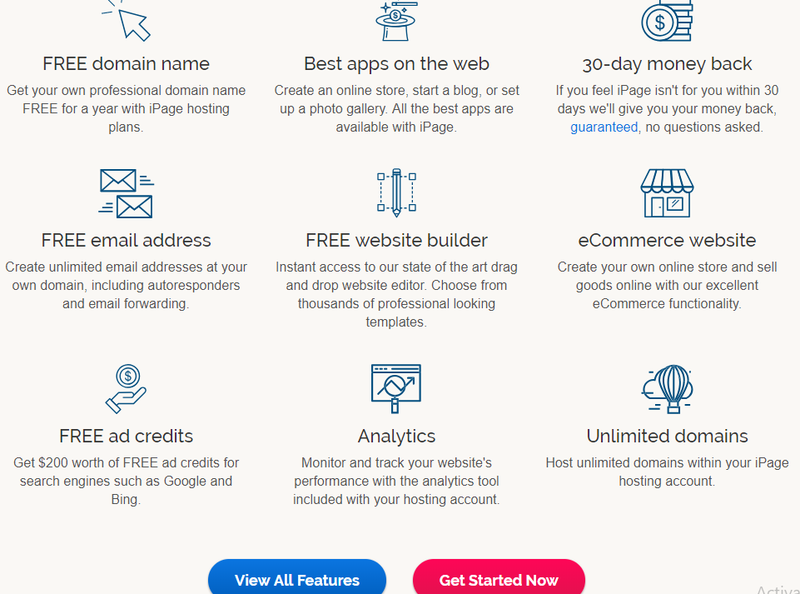 What’s more, iPage Web Hosting even provides customers Free ad credit which is now worth over $200 and used to Googel and Bing search engines. This feature mainly helps you rank your website in a higher place in Google search result. Once your online store or website is ranking in a higher place in searching result, your business will become more flourish. And visitors will easily to find out your website. Anyway, it is helpful to boost up your online business. Therefore, it is worthwhile to use this iPage Web Hosting plan. 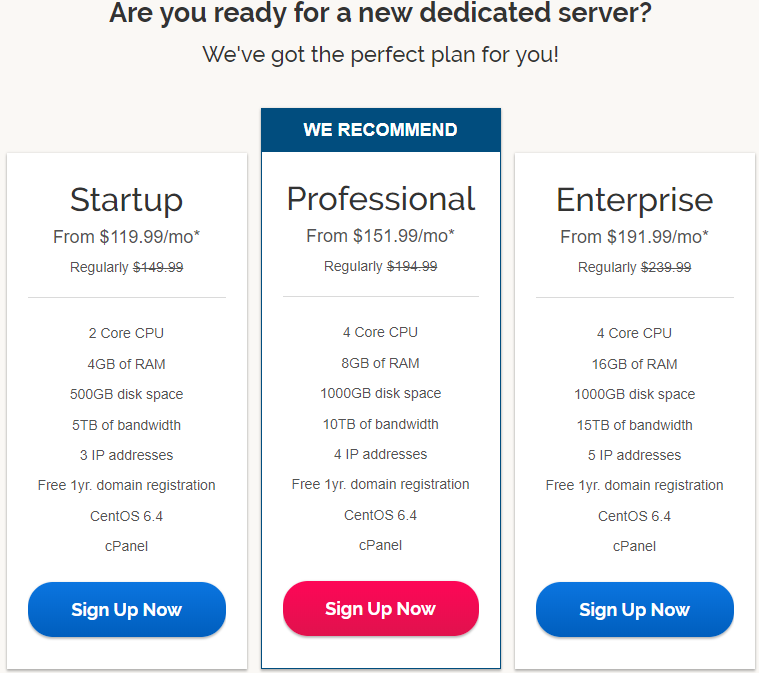 With 75% discount, you just need to pay only $1.99/month for hosting service but enjoy tons of features and benefits. Many beginner who just start their first online store usually choose this plan as it is the most costless but effective way to build online business. VPS Hosting is an essential package in every hosting service. iPage Hosting Review briefly describe this VPS hosting. VPS Hosting is usually chosen by people who want a more powerful and complex website for their large business. Therefore, iPage VPS Hosting usually gives more power, flexibility and control to customers to host their website. 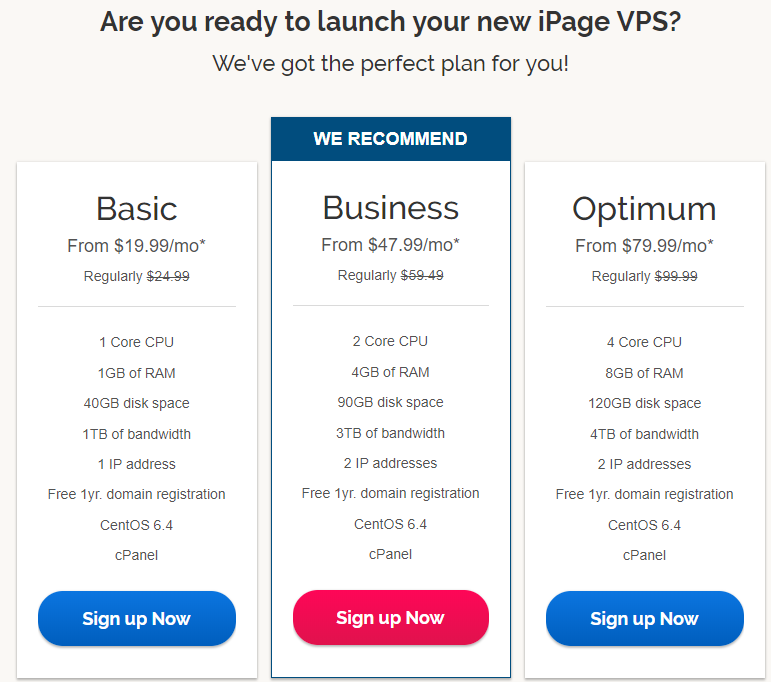 iPage VPS Hosting now also support free domain name subscription for one year, so that you can use the domain name free in one year, next year you will be charged. You also can get built-in scripts like PHP5/Perl/Python and more to make your website more powerful and complex. Besides, since VPS hosting is an advanced hosting method, so it need some professional knowledge and expertise actually to operate. But you don’t worry, iPage VPS Hosting makes it more friendly and easy-to-use, and you even can get some assistance from their managed support. They are offering helps 24/7. iPage VPS hosting gives 3 different packages in order to meet different requirements from different customer. Basic, Business and Optimum plans are various in amount and quantity of CPU, RAM, disk space, bandwidth, IP address. But three plans all provide cPanel. VPS Hosting is usually based on a dedicated server which you don’t have to share the same system resources like RAM, disk space and others on a single server. Your website will be hosted in separate server. Each server has its own operating system, and can be rebooted separately. And each operating system will just receive a specific share of the resources of the physical server. In other words, your server is isolated from any other customers’ servers so, one server will never be able to interfere with another. VPS Hosting is usually the best choice for developers, webmasters, resellers and those who want to run resource-intensive websites. That’s why iPage VPS Hosting can give more full control, flexibility and power as the physical server is independent form each other, so that you can get full control over your hosting environment, and even the power of a dedicated server. Unlike shared hosting, VPS Hosting can let you have your own set of service and customizable disk space. What’s more, iPage VPS Hosting makes servers build on cloud platform. With cloud feature, you can get more instant provisioning and seamless migration choices. You are able to do scalable performance in order to increase your site’s faster loading page speed and RAM speed. Anyway, you can get flexible scalability actually with this iPage VPS Hosting. There is high-speed SAN storage in this VPS Hosting to guarantee memory allocation. This feature mainly helps to guarantee the fast server speed and reliability. You can get more security and privacy with this feature. iPage VPS Hosting is never left if you want a more powerful website to boost up big business. Dedicated Server is a more powerful solution to host website. iPage Dedicated Hosting gives one-year free domain registration, and PHP5/Perl/Python. It provides three different plans and packages Startup, Professional and Enterprise. Different packages have different quotation as they differ in amount of RAM, disk space, CPU, bandwidth, and IP address. Dedicated Hosting service is based on a dedicated server which is usually a physical server. Like server of VPS hosting, you can full control and administration and exclusive access to its resources. People choosing this iPage Dedicated Hosting aim at having the highest level of performance, allowance for peak performance for their website applications. However, iPage Dedicated Hosting is usually chosen by people who have some knowledge and expertise to manage and control everything. This is because Dedicated Server ask people to have technical skill to manage or configure the server by themselves. But iPage Dedicated Hosting has improve the easy-to-use performance of dedicated server by offering many different management and applications to help solve this problem. iPage Hosting Review is giving more information about this kind of Dedicated hosting. You can get basic, complete and responsible way to manage this Dedicated Hosting. Since Dedicated Hosting is based on a dedicated server, so your website will run faster and more reliable as dedicated server offers more resources like CPU, RAM, disk space, bandwidth, IP addresses etc and those resources are used only by your site. Therefore, the Dedicated Hosting has a more powerful ability and performance to solve the increase traffic which a shared hosting may usually meet. Dedicated Hosting can overcome the resource limits and give faster loading page speed. If your online business is greatly increasing, you are suggested to change to this Dedicated Hosting, because iPage Dedicated Hosting can perform at optimal speed. Your online business will benefit more flexibility and control to change server configuration in order to expand your e-commerce with huge traffic. iPage Dedicated Hosting also provides advanced and excellent software and applications to make you get a higher level of security. If your website becomes more secure, it will become more creditable and credible. iPage Dedicated Hosting not only gives cutting-edge technology and service but also greatly flourish your business. iPage WordPress Hosting is based on WordPress apps which is a popular blogging software and website building tool. 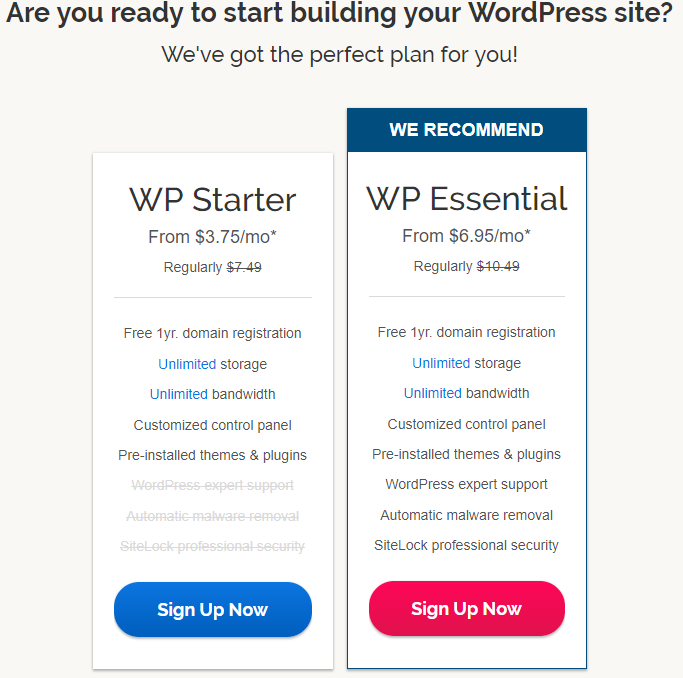 This WordPress Hosting gives two plans: WP Starter and WP Essential. All plans include free one-year domain name subscription, unlimited storage, unlimited bandwidtj and customized control panel. However, WP Essential will give more benefits including Pre-installed themes & plugins, WordPress expert support, Automatic malware removal, and SiteLock professional security. WordPress Hosting is usually chosen by people who begin a blogging website, small business, and want to post something interesting to increase their website’s ranking. WordPress Hosting is easy to use as it has thousands of apps and plugins to help build and host website. It is ever suitable for people who have no knowledge about hosting website but just want to begin their business online. It is also a perfect choice for people who have not enough for a blooming business. You can get more features and benefits with this iPage WordPress Hosting. With the help of WordPress, your website can be built in a few seconds. And your products or services will be online within a few days as long as you prepare everything well. iPage WordPress Hosting gives thousands of themes, pre-installed plugins and a customized control panel to make your website the way you like easily. Besides, your website will load in a faster speed and get more security as this WordPress Hosting gives SiteLock feature to make your websites protected. Your Website will be protected from malware, virus, phishing and other online threats in order to prevent identity theft happen. Your visitors and their sensitive information will also be completely protected and encrypted. In this iPage Hosting Review, you can learn more about WordPress hosting and give it a try now. iPage Hosting service is provided by a well-known company with over 19 years of rich experience in hosting websites for customers. They provide excellent and solid hosting services to customer worldwide. iPage Hosting Review here has given a detailed introduction about this iPage Hosting service. iPage Web Hosting, VPS hosting, Dedicated Hosting and WordPress Hosting are one of your best choice. But you should choose the best fit to match your requirements on your website. If you just start your business, you are suggested to choose the easy-to-use hosting plan like Web Hosting or WordPress Hosting. Both of these Hosting services gives full extensions and plugins to help you build and design your website well. You don’t need to think more about how to host a website. You even don’t have to possess some knowledge of website hosting and website building, as everything will be done by the extension and plugins and applications provided by the hosting service. But if you have your own website and your business is greatly increasing, and your current server’s system resources like RAM, disk space, CPU can’t match your website loading, you should consider changing to other powerful hosting service plans like VPS Hosting or Dedicated hosting. Both hosting services provides dedicated server with separate resources. You don’t have to share the same system resources with other websites on a single server. Your website will never have any interfere with another one. You can have full control and higher administration to manage your server and your website well. And of course, with both hosting service, your website will run in a faster speed, and it helps to rank your site in a higher place in Google or Bing search result. In a word, dedicated or VPS hosting have a great performance in website business. You can soon get your business goal. iPage Hosting Review will help you choose your best hosting plan.